Student opportunities | Express Scripts you. Looking for an internship program that has you making a real difference – rather than just making copies? Express Scripts offers you a paid opportunity to bring your problem-solving abilities and creativity to bear on behalf of the 100 million patients we serve. We're an industry-leading health care opportunity company, united with our partners in pursuit of a simpler, more sustainable system and better health for all. Meet senior manager Antonio B. and learn how he made the transition from working as an intern on the Provider Strategy and Consultation team to accepting a full-time role. 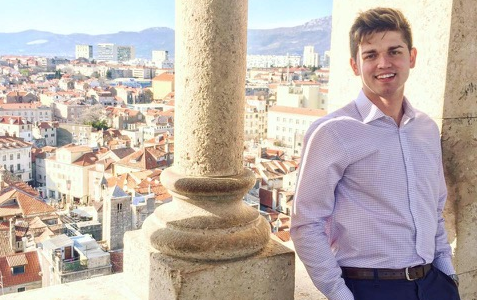 Former intern Ola A. shares how his summer internship experience led to a full-time role in business analysis and planning. 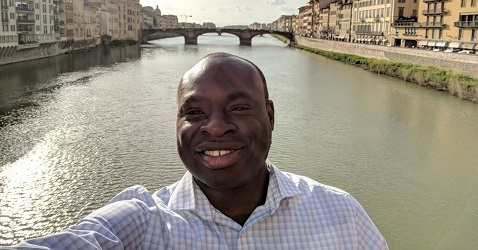 Check out Ola's story and learn about his path to the health care field. 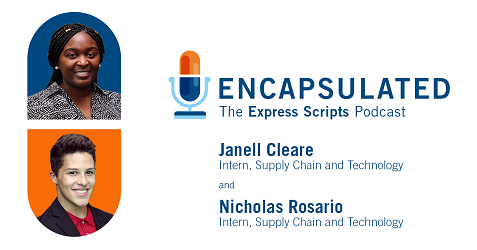 On our intern-focused episode of Encapsultated - The Express Scripts Podcast, we sat down with past interns Nicholas R. and Janell C. to chat about what led them to Express Scripts and their experience during their 12 weeks with us. During our 12-week program, you’ll get an inside look into your desired field, working alongside industry experts on real projects that promote better health outcomes. Program activities – including an executive speaker series, leadership opportunities and volunteer events – give you networking opportunities across the organization and enable learning about our mission. All full-time students attending an accredited four-year college or university, graduate program or PharmD program are eligible. Preference is given to students who, at a minimum, have completed their sophomore year and have a GPA of 3.0 or better. Leadership experience is also a plus. Contact your school representative to learn more about how to arrange an externship or clinical rotation.